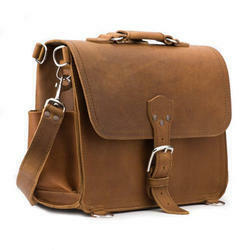 Leading Manufacturer of double gusset flap over briefcase, leather briefcase bag, leather computer bags, classic briefcase and executive briefcase from Kolkata. 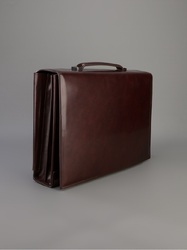 Dimension 17.25" x 12" x 5"
We are offering Double Gusset Flap Over Briefcase to our client. Dimension 17" x 12" x 6"
Description :This leather briefcases has a fully lined leather strap, a full length inside zippered pocket, and an organizer for pens and cards. It is a double compartment briefcase with front pocket. 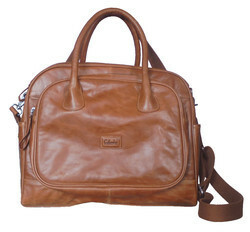 The briefcase is comfortable to carry and lightweight- a weight that is comparable to fabric bags. Handles are attached to a steel metal bar that provides extra strength and durability. Dimension 17.25" x 12.75" x 5.5"
Description :Slimline laptop bag has a gusseted full-zip main compartment and is padded to accommodate a 17" laptop. Features zip around organizer panel and zip security pocket. Holds a dozen legal file folders. 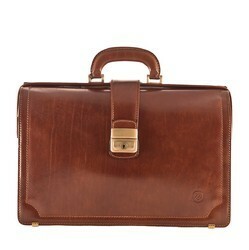 Dimension 13.5" x 18" x 7"
We are offering Classic Briefcase to our client. 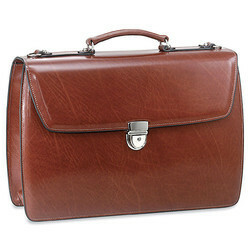 We are offering Executive Briefcase to our client.